LIMITED COLLECTORS EDITION CD. 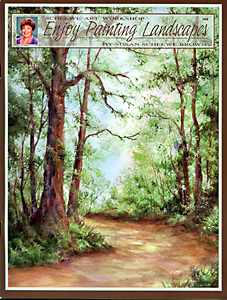 CD FORMAT, FOR USE ON THE COMPUTER. THIS IS NOT A BOOK, THIS IS A CD RELEASE OF A FORMERLY SOLD OUT BOOK. WATERCOLOR & ACRYLIC CD. 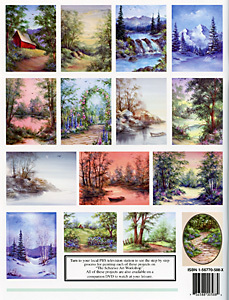 Beautiful landscapes are what you will find in Susans newest book, if you like to paint landscapes then this book is a must for your painting library. 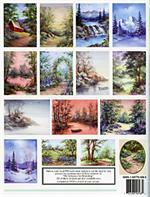 This book is filled with beautiful, majestic, inspiring landscapes that will make you want to paint. Enjoy Painting Landscapes is a companion to the Scheewe Art Workshop series that is just now airing nationwide. 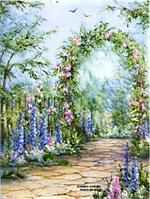 You will find a variety of subjects to paint and a range of watercolor and acrylic techniques to expand you painting horizons. A soft pink sunrise over a still pond surrounded by summer trees and foliage is interpreted in the painting, Still Water Reflection at Daylight, this is one of my favorite paintings and will soon become one of yours as well. 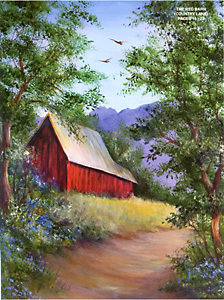 A Red Barn striking and rich with color sits in a tree flanked summer meadow, the surrounding hills nestle the barn into this inspiring painting. 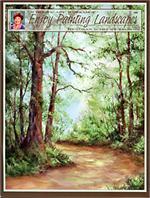 Hillside Viewpoint is an uplifting painting of a lush green pathway leading to a meadow and hills beyond. Rural Pleasures leads you along a country dirt road as it bends around a graceful tree, a rustic fence defines the gentle curves of the rolling land. A Stone Fence creates a gateway to a spring meadow green and alive, in the distance a time worn barn stands a reminder of days past. Cascade Waterfalls depicts a crisp mountain stream cascading over a small waterfall of timeless stones, a distant mountain range of evergreens provides a peaceful backdrop, you can almost feel and smell the fresh air against your face. Morning Glow is alive with summers promise, a golden wash of color spills across the ground of this tree lined moment, spattered with rosy pink flowers. Snow reflects the blue and violet of a fresh winters day in Winters Frost, clean birch trees and evergreens, distant mountains and a quiet blanket of snow make this painting a tranquil, picturesque scene. 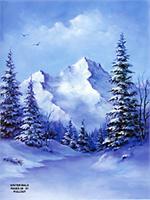 Winter Walk is another favorite painting, a majestic snow laden mountain bathed in the crisp light of winter stands tall against a foreground of snow covered evergreens that open to gentle path. 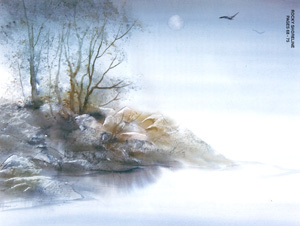 Rocky Shoreline is a meditative, calm rock laden shoreline that is still and beautiful in the washes of color and texture the composition creates. 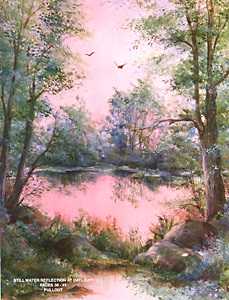 Days End, if only all day ends could be so glorious and color filled, warm pink and peach tones fill the sky and reflect off the water in this warm summer moment. Summer Garden blooms with the colors of summer as a stone path leads you through a rose covered archway through a garden of delphiniums blue and pink surrounded by flowers white, pink and lavender, birds fly through the air, bring summer indoors with this lovely painting. Watercolor & Acrylic.